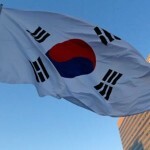 South Korean shipyards stood at second place in terms of new orders secured in the first three months of the year, with their order backlog continuing to slip, industry data showed on Tuesday. 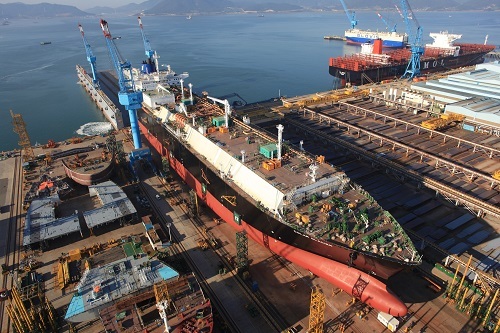 According to the data compiled by global research firm Clarkson Research Institute, Korean shipyards clinched new orders worth a combined 890,000 compensated gross tons (CGTs) last month to build 22 ships, following Chinese rivals’ 1.07 CGTs, or 58 ships. Italy came third with 610,000 CGTs in new orders, or six ships, followed by Finland with 330,000 CGTs or two ships, the data showed. In the January-March period, a total of 2.74 million CGTs worth of new orders were placed around the globe, according to them. 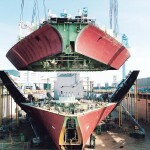 In March alone, South Korean shipyards secured 140,000 CGTs worth of new orders to build seven ships. China took the top slot with 850,000 CGTs, or 23 ships. The order backlog held by South Korean shipyards came in at 17.67 million CGTs last month, slipping from 18.25 million CGTs a month earlier. The comparable figures for China and Japan were 27.23 million CGTs and 18.58 million CGTs. 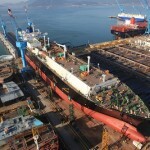 The shipbuilding industry, once regarded as the backbone of the country’s economic growth and job creation, has been reeling from mounting losses caused by a fall in new orders, order cancellations and increased costs. 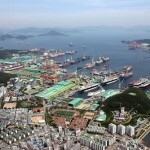 Last year, Hyundai Heavy Industries Co. swung to the black, while the two other shipyards — Samsung Heavy Industries Co. and Daewoo Shipbuilding & Marine Engineering Co. — continued to suffer losses.